Xiaomi may have become one of the world’s leading smartphone brands in the last quarter, but there is at least one category where the company’s reign is absolute. In the slowing wearables market – with a handful of active players – the company managed to get the top spot in the industry beating rivals such as Apple and Fitbit. According to Strategy Analytics, the Chinese company managed to ship 3.7 million units in the second quarter of 2017, up from 3 million during the same period last year. Xiaomi now has a 17.1 percent share of the market. Here too the company managed to get the lead with its feature-rich offerings at ultra-competitive prices. Xiaomi’s growth came largely at the cost of Fitbit, which shrank dramatically in size, from 5.7 million to just 3.4 million wearables sold last quarter. Fitbit is planning to introduce its first smartwatch this fall, so not all is lost for the company. Apple also managed to increase its shipments by a million units to 2.8 million, though, it lost momentum to Xiaomi due to its lack of fitness band offerings. Cupertino still hasn’t revealed how many Apple Watch editions it sells on its press releases so the figure might be off a bit. Overall, the global market stood at 21.6 million units for the second quarter, actually up by 1.6 million units. This wouldn’t be enough as the growth largely occurred in the “Others” column. It is obvious that the wearables market is slowing down, with Intel quitting it altogether recently after making an expensive buyout a couple of years ago. With the sales gradually coming close to a complete halt, it is clear that companies like Apple and Xiaomi are doing what they can to keep the momentum going. 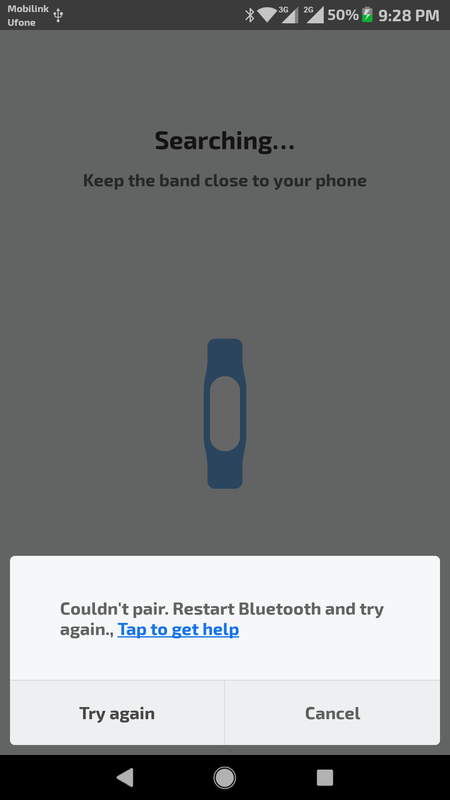 Delete/ unpair MI band from the MI app setting, Uninstall MI App then Re-install , Also clear the cache of Bluetooth Services in android. 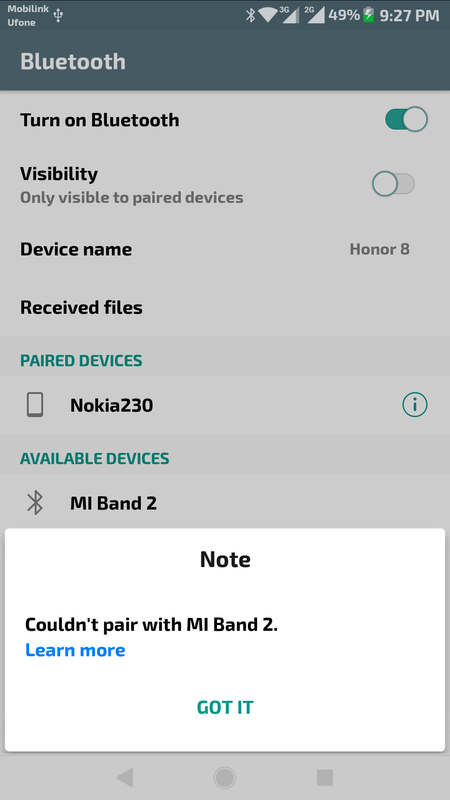 I had the same issue, I unpaired the band from within the MI application and then delete the cache and data from the BT in android system. It connected without any issue. It took me 2 hours to figure out the procedure. Hope the same works for you. Kiya MI Band Her Bluetooth Ya Her Andriod Ya IOS Ya Windows Phone Par Chal Sakta hai ??? Bluetooth Se Chalta Hai Ya Apps Se Agar Apps Se Running Karta hai to Kiya Internet On Hona Lazmi Hoga ??? Android pe chale ga, Windows phone pe nahi. You dont need always on internet, but it is required to sync your data with MI servers.